Cuba embargo: Rand Paul offers support of Obama's Cuba move. 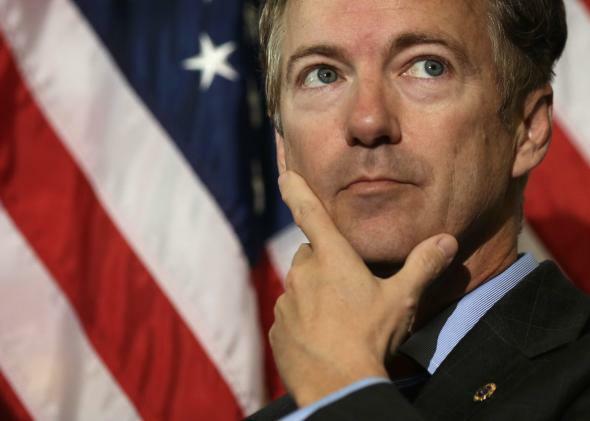 Washington hawks have one more reason to hate Rand Paul: The Kentucky senator and likely 2016 presidential candidate said on Thursday that he thought “opening up Cuba is probably a good idea” and that the long-time U.S. embargo on the island nation hasn’t been successful. He made the comments in a talk radio interview with a Huntington, West Virginia station. This puts the senator at odds with most of his fellow Hill Republicans, including hawkish Sens. John McCain and Lindsey Graham. It makes for a particularly jarring contrast with Sen. Marco Rubio, a Cuban-American Republican from Florida who’s been an ardent opponent of the president’s move. And it puts Paul at odds with fellow Kentuckian and incoming Senate Majority Leader Mitch McConnell, who told the AP that he defers to Rubio on the issue. Sen. Ted Cruz and former Florida governor (and likely 2016 candidate) Jeb Bush also oppose the president’s move toward normalizing U.S.-Cuba relations. But as Steve Benen pointed out at msnbc.com, Republicans aren’t lockstep on this. Conservative Republican Rep. Mark Sanford said current Cuba policy violates “Americans’ constitutional rights to travel freely” and praised the president’s move. Sen. Jeff Flake’s statement on the issue characterized the president’s move as a “positive change.” Flake and Sanford have said they’ll introduce legislation in their respective chambers loosening restrictions on travel to the country. Paul’s statement may give more House Republicans political cover to join ranks with Sanford and Flake on travel legislation.